The view from Second Street looking northwest into Bridal Veil Park. 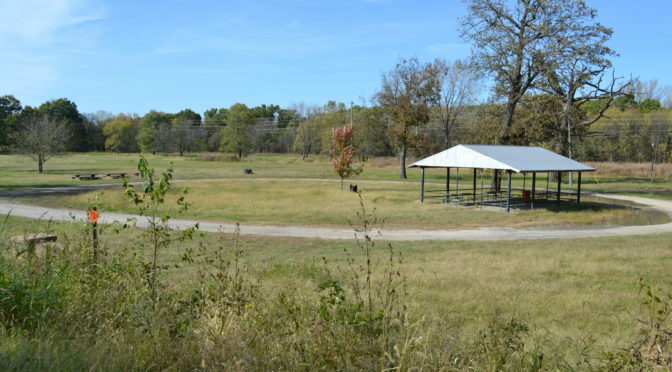 Fort Scott City Manager Dave Martin is seeking input from the community on what to do with Bridal Veil Park. 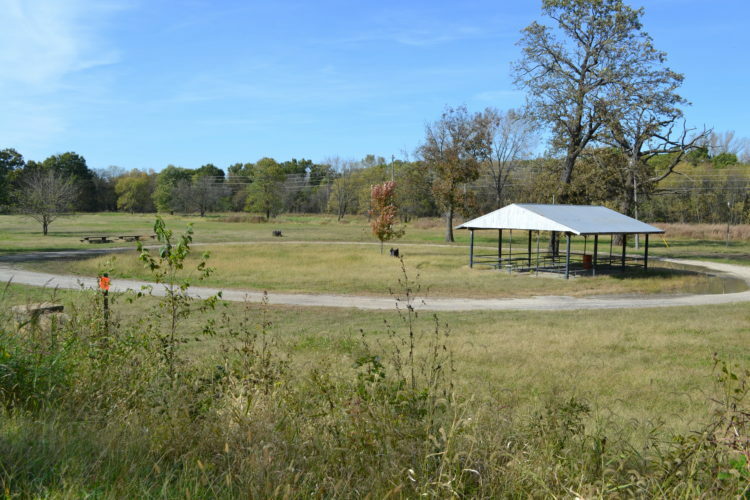 The park is located just west of the Marmaton River on Second Street on the west side of town. It is a low-lying area encompassed by an attractive, low rock fence on the south. 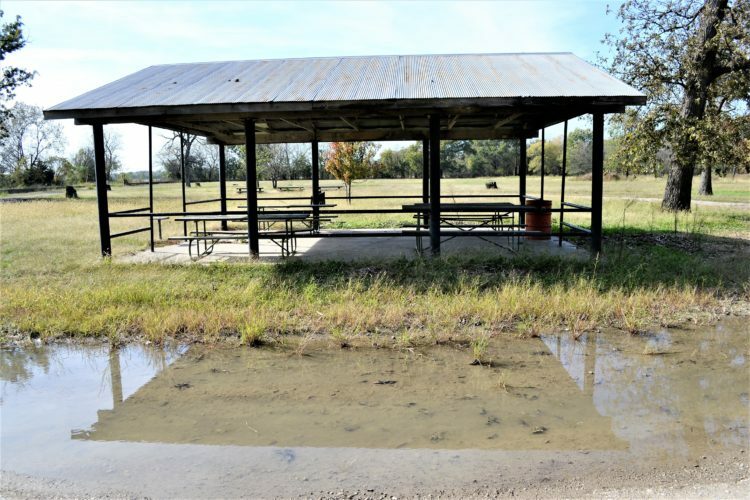 Three concrete picnic tables, a pavilion, and numerous large tree stumps, with a meandering dirt road, are all that’s left of an area that was at first two community swimming pools, one for girls, one for boys. 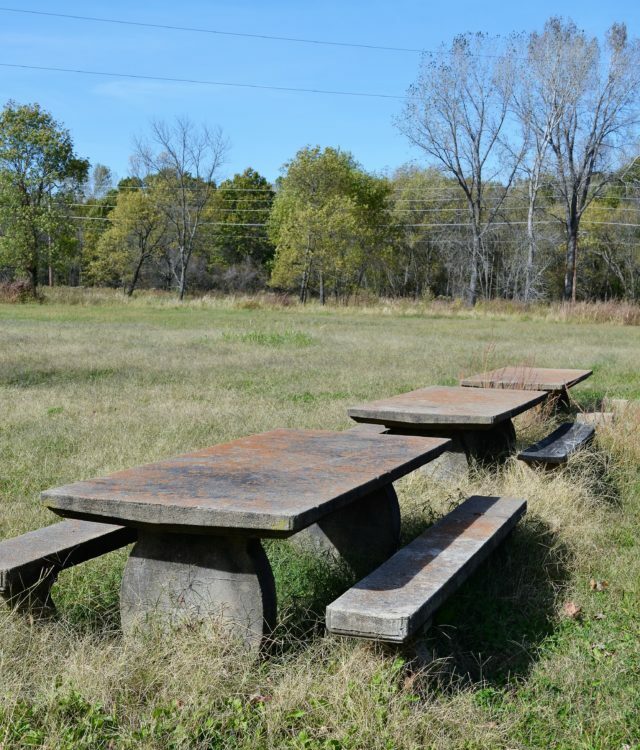 Three concrete picnic tables that have survived since the 1930s at Bridal Veil Park. In 1936, the Works Progress Administration of the federal government built a new community swimming pool at the current site on Main Street, said Don Miller, a local Fort Scott historian. After desegregation became law the swimming pools were filled in, Miller said. In 1986, a flood swept away the brick shelter house at the site, he said. The current pavilion at Bridal Veil Park. The original brick one was destroyed during the flood of 1986. Keep or sell the property? Martin said there is still “suspicious activity” for the Fort Scott Police Department to investigate at that location and it floods easily because of its location near the Marmaton River. The cost of maintaining the park is approximately $5,000 to $10,000 a year, Martin said. “Taking care of that park, is it a vision for the future of our city?,” Martin asked in an interview with FortScott.biz. “There is a vision to have a hookup between Gunn Park and Riverfront Park in the long-term,” Martin said. 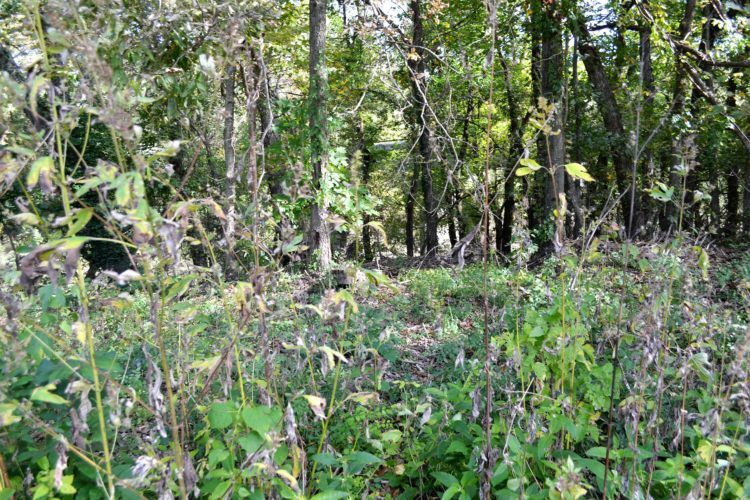 “We will try to keep an easement for that,” Martin said. The vegetation overgrowth prevents a view of the Marmaton River, on the east edge of Bridal Veil Park. At the November 21 city commission meeting, a decision will likely be made, he said. Emails can be sent to dmartin@fscity.org or call Martin on his cell phone at 620-644-2498.
Who would want to buy this property, it floods several times a year ?